What does your Amsterdam look like? I mean, we all know what it looks like in photos: bikes, canals, canal houses, red lights, flowers, cute cute etc. But what does it really look like to you? Let’s say you have 1,000 photos of Amsterdam spanning centuries and you have to “mosaically” create your own picture, what would that final image look like? Now try and describe how Amsterdam sounds? Most would probably say something about bikes. The sound of bells, squeaky brakes, chains crying out for oil and fenders whose jingle jangle cuts through the quiet streets. Fair enough, a bit cliche though, no? Try and go deeper, after all it’s a pretty big city with an incredibly rich history. This is what we did at the RBMA x RE:VIVE Workshop, we asked the participants to do, to write a track that conveys some sonic image of Amsterdam only using the sounds of Amsterdam. The Amsterdam sounds were provided and curated by The Netherlands Institute for Sound and Vision as an exclusive RE:VIVE Sample Pack featuring 120 items for participants. Sound and Vision, the Netherlands’ national AV archive holds over 1.000.000 hours of audio and audiovisual material. It’s best known for holding the Polygoon newsreels narrated by the distinct of the late Philip Bloemendal who never failed to work in some word play (word!). However, what most people probably don’t expect to find is the great variety of field recordings. So this sample pack features some of those as well. So with this RE:VIVE Sample Pack you will get a microscopic glimpse into the collection and a portion of what participants had access to. If you’d like the whole RE:VIVE x RBMA sample pack drop us a line! 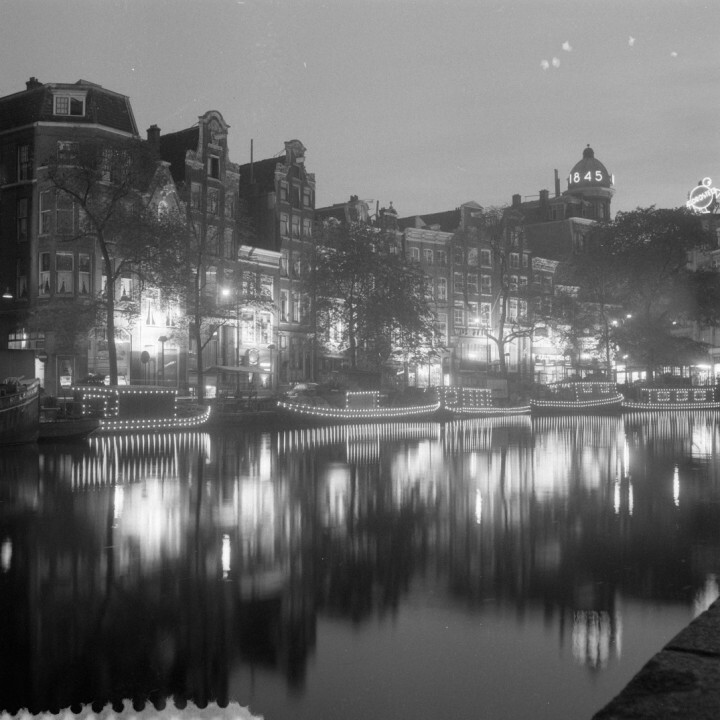 Next to all these recognizable sounds of Amsterdam there are also some recordings that you will not instantly associate with the main capital. From the testing of tram brakes to the engine room of the pond (ferry) on the IJ River. But sometimes these vague sounds are the most interesting. All sounds licensed under a CC BY-SA license from the Netherlands Institute for Sound and Vision. All these tram recordings were used by Mill Burray, who made this haunting noise track during the RBMA workshop. Image via Nationaal Archief CC BY. Sample Pack compiled and curated by Harry van Biessum.